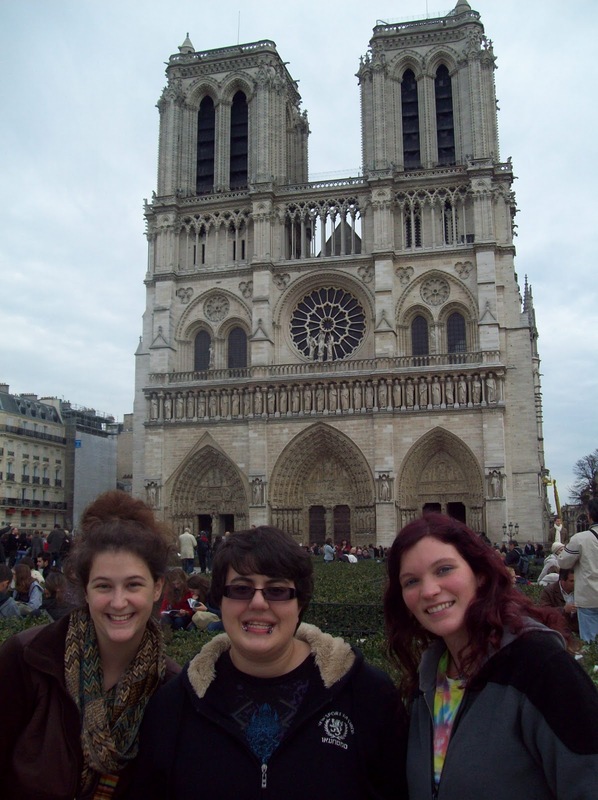 Getting to Paris was an adventure to say the least. After taking two trains, a shuttle, a plane (which was quite scary), another shuttle, the metro (which we were lost in for at least a few hours) and finally a taxi we made it to our first hotel. Needless to say there was no sightseeing that night since we arrived around 10:30 pm. 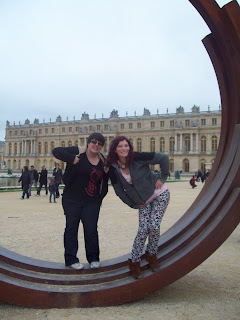 But the next morning our Paris sightseeing adventures began! Once we checked into our second hostel, we went straight to the cathedral of Notre Dame. There is no denying that this is the most beautiful cathedral I’ve ever stepped foot inside. The artwork inside as well as the architecture outside is so moving. Meghan, Andrea and I even lit candles inside. I was surprised that we were allowed to take pictures. Even without my flash I got some amazing shots of the stained glass windows inside. Next we were off to the Arc de Triomphe! When we got off the metro we thought we’d be much closer to the arc but we actually had to walk quite a bit. But I think it was for the best since we can now say we walked down the Champs Elysées. To get to the arc, since it’s in the middle of a traffic circle where about 10 different roads meet, we took the underground tunnel. We took a ton of pictures and videos and walked all around and through the arc. We decided not to go up inside because of the price. It was good enough for us to say that we were there. 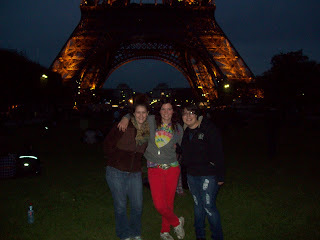 Afterwards, we hopped on the metro again to go see the Eiffel Tower. Apparently it takes more than 24 hours to master the Paris metro system because when we got off, thinking we’d be at the tower, we were about 3 blocks from it. However, it was so worth it! We walked all around and underneath, taking pictures and videos. Then we sat in the Champ de Mars, taking more pictures, lying in the grass looking up at the tower. We just kept saying “guys, we’re in PARIS! !” About that time it was starting to get dark and the tower lit up. It was the most beautiful sight…which started more picture taking. But the best part was when we decided to leave. We crossed the street and were waiting to cross again when Meghan happened to turn around and scream “Oh my god!! Guys look! 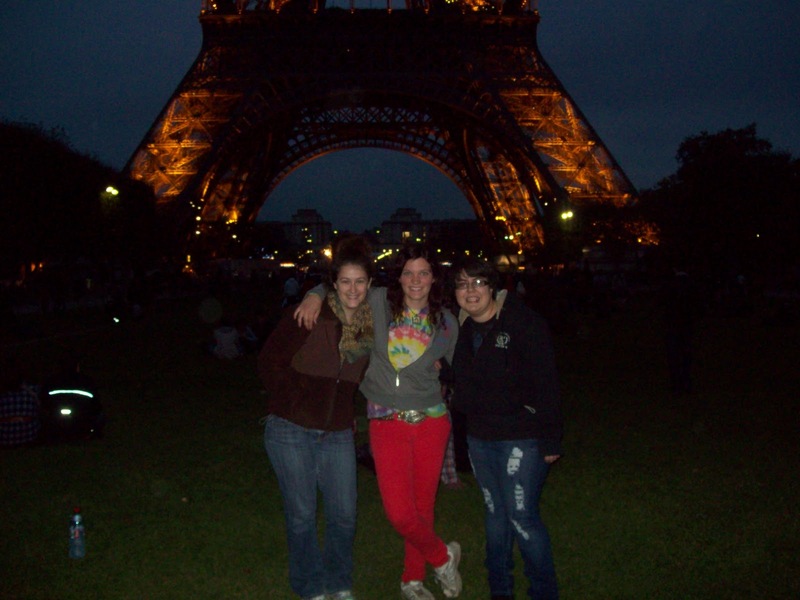 !” We turned around just in time to catch the light show that Eiffel Tower puts on every night. AMAZING! BEAUTIFUL! We spent the whole next day at the Palace at Versailles. We walked through the palace and the gardens then all the way out to Marie Antoinette’s Estate. 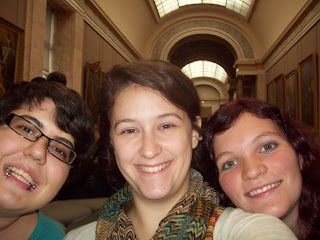 Between the three of us we easily took hundreds of pictures. 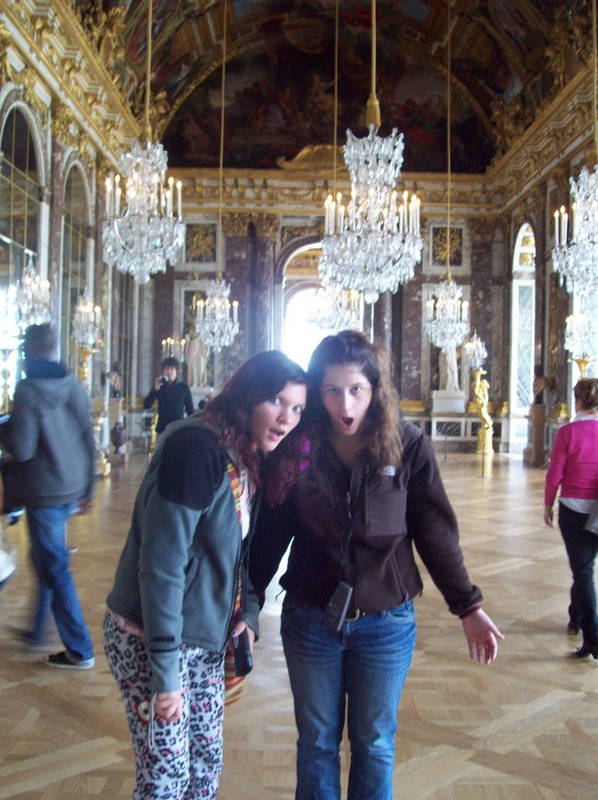 My favorite part was the infamous Hall of Mirrors in the palace. It was so beautiful; I think we all walked around with our jaws dropped for at least 10 minutes. This palace has to be one of the most beautiful places on the planet. The next morning we woke up and went straight to the Musée du Louvre where we saw everything from ancient Egyptian art to of course, the Mona Lisa. Since the Louvre is so large we decided to only see the pieces we were really excited about, like the Mona Lisa and anything by Michelangelo for me. 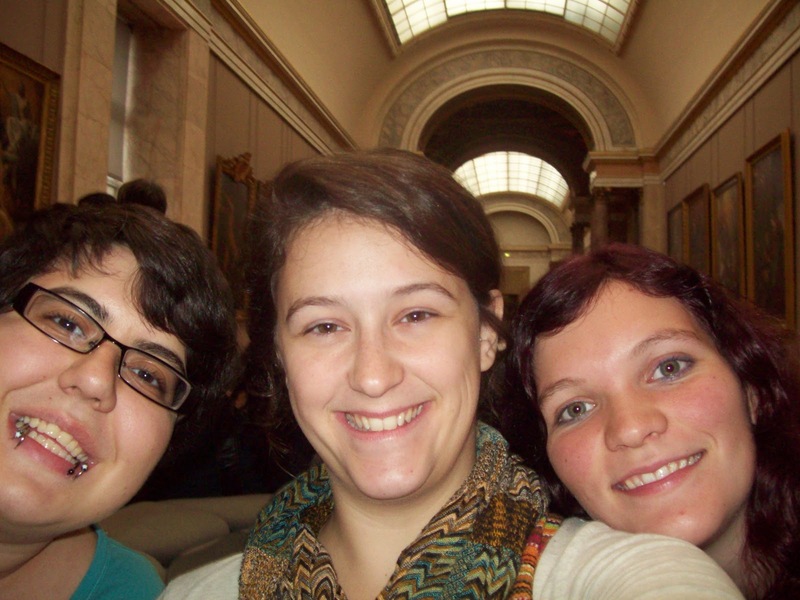 Meghan wanted to see the Horses of Marly and Andrea was excited about The Winged Victory of Samothrace. Our last morning in the city of lights, we checked out and headed for the airport where we hopped on a plane for Venice. Paris was an adventure but I’m so happy that we were able to go. It was definitely an experience the three of us will never forget. We saw the cathedral of Notre Dame, the Arc de Triomphe, the Eiffel Tower, the Louvre Museum and the Palace at Versailles in three days. It was whirlwind trip but we have memories and pictures that will last us forever.